The first trailer of the forthcoming Netflix film Lust Stories is out and it seems tremendously promising. The movie stars an altogether of actors like Radhika Apte, Neha Dhupia, Vicky Kaushal, Jaideep Ahlawat, Manisha Koirala, Akash Thosar, Sanjay Kapoor, Bhumi Pednekar, Neil Bhoopalam, Kiara Advani. Four directors–Karan Johar, Dibaker Banerjee, Zoya Akhtar and Anurag Kashyap have collaborated together for four short stories. 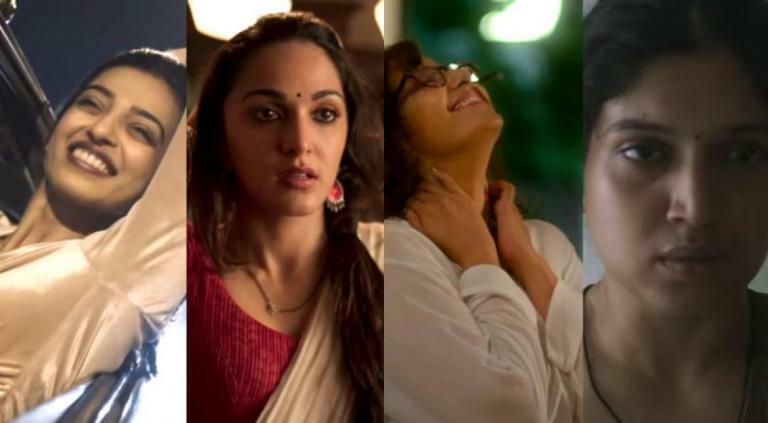 This is the second time for ‘Lust stories’ that these 4 directors have come together for a venture like this. The first time they all have collaborated was for ‘Bombay Talkies’. The film is all about love, romance, betrayal, and heartbreaks. There are four different short stories in the film. The trailer starts with Radhika Apte’s dialogue from Anurag Kashyap’s film that sets the frame of mind for Lust Stories. “You can’t hurt someone you love, intentionally you don’t. But you only hurt those you love!” she is heard saying. Radhika plays the role of a professor and is married to an important person who is a sturdy advocate of monogamy and wants their relationship to be like that of penguins! The second story starring Neil Bhoopalam and Bhumi Pednekar, where the latter plays a house help who falls in love with the owner. The third story stars Vicky Kaushal and Kiara Advani and explores sexual displeasure in a marriage. Neha Dhupia makes an appearance too. Sanjay Kapoor, Manisha Koirala and Jaideep Ahlawat star in the fourth film which revolves something like an extra-marital affair. In a statement given out by Ronnie Screwvala, it read, “Lust Stories, four short films that deal with real-life relationships in modern India and brought together as one film brilliantly under a common theme by Anurag, Dibakar, Karan, and Zoya is a perfect premiere for global audiences on Netflix.” Lust stories is produced by Ronnie Screwvala and Ashi Dua and it will release on Netflix on June 15th, 2018.